Illinois guard Trent Frazier (1) gets a high five from Illinois guard Aaron Jordan (23) after hitting a three during the game against Wisconsin at the State Farm Center on Thursday, Feb. 8, 2018. 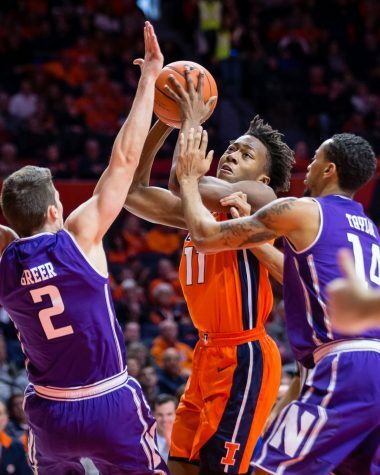 One thing that has continued to be an issue game in and game out is the Illinois’ ability to limit the opposing stars to a minimum. Without even looking at the numbers, I can recall Miles Bridges, Jaren Jackson, Jawun Evans, and now Ethan Happ all having monster games against the Illini. 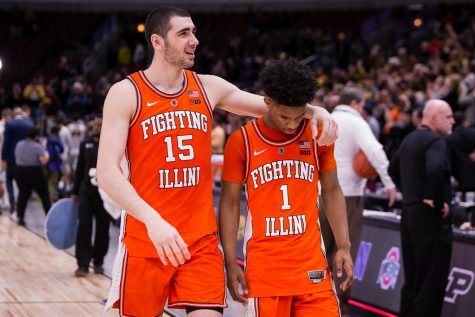 In all of those matchups aside from Indiana, it ultimately was the downfall and what kept the Illini from possibly pulling out a win against those tougher teams. While Happ was somewhat limited tonight, he had plenty of dominant stretches and was still able to put up 27 points and lead the Badgers to a smooth victory. 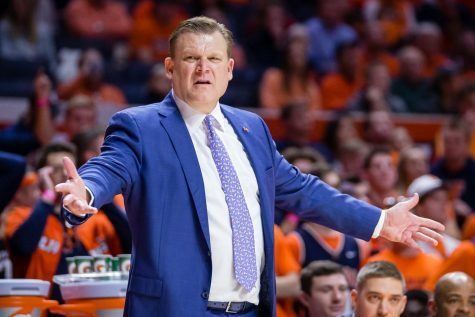 But, the issue stands, is that while it is not always possible, the Illini have to find a way to further limit opposing stars. It has become far too easy for teams to rely on one or two guys for the majority of their offense. 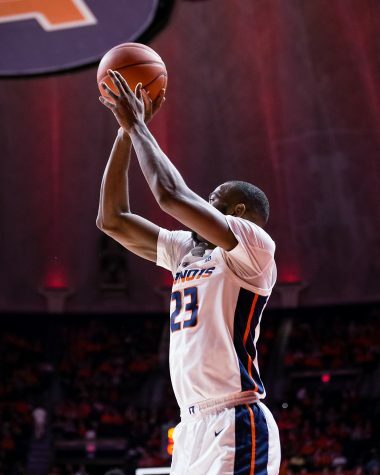 It’s as simple as this: the offense does not succeed when Trent Frazier is not on the floor. With the current roster lacking the Brandon Paul, Malcolm Hill type player, Frazier has stepped up and filled that role. It seems that every game he goes on another insane run, hits a big shot — or 12 — and carries the whole offense. Thursday was no different. 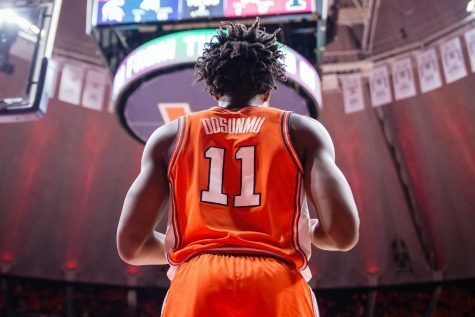 The flashy freshman absolutely went off in the second half, scoring just 10 in the first before going on to drop 32 points and leading the Illini in scoring. But, it goes beyond his pure point production. The whole offense struggles to find any flow when Frazier leaves the floor, and even when he does not assist on the play or score himself, Frazier is the key to many if not all of the offensive possessions when he is out there. 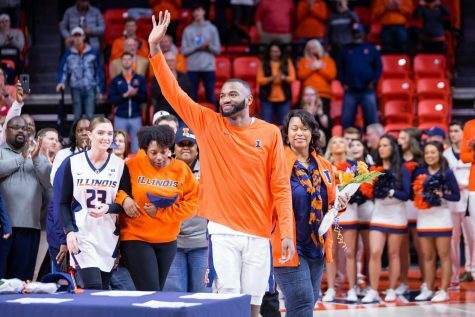 When Illinois needs a bucket, the ball needs to be in Frazier’s hands. Even with it in his hands on Thursday, it was not enough. Folks, would ya look at that? 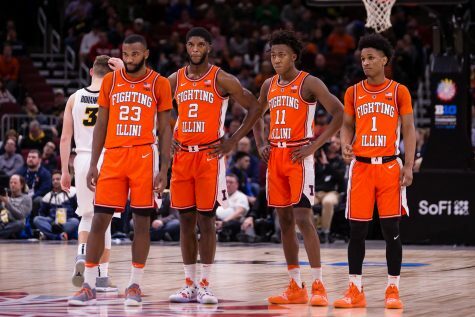 The Illini finally played a team that they matched up with well in all five positions, even down low where they have been overmatched all season, especially in the Big Ten. 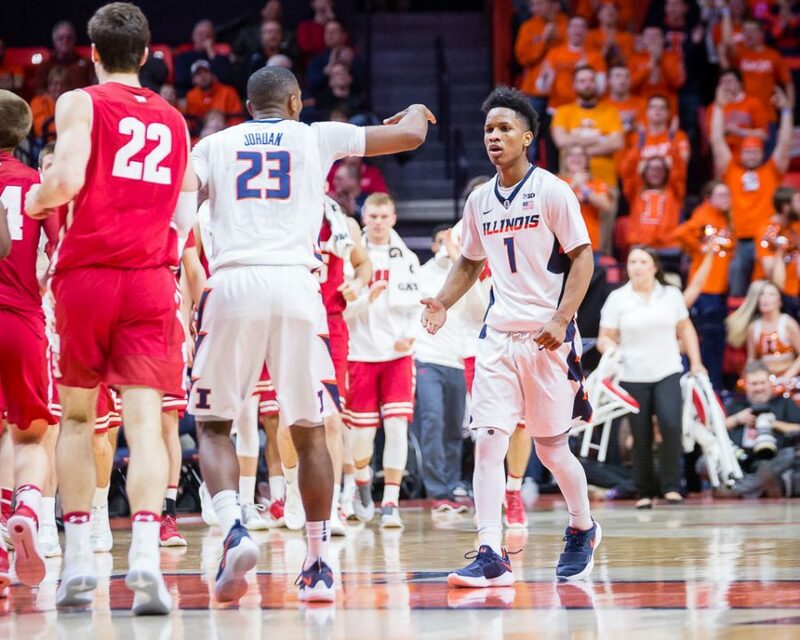 But, on Thursday night against Wisconsin, the Illini matched up very well. The combination of Finke, Black, Nichols, and Eboigbodin combined to do a good enough job containing Ethan Happy, while producing some solid scoring on the offensive end. 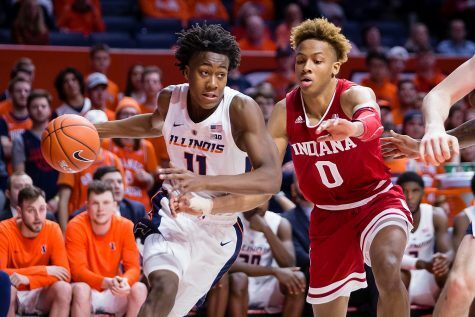 Matchups like this have been rare for the Illini, so it was nice to see the guards have a little more room to create and play in more favorable matchups. If anything, this shows the importance for how much this team really needs to add another big man for next year. 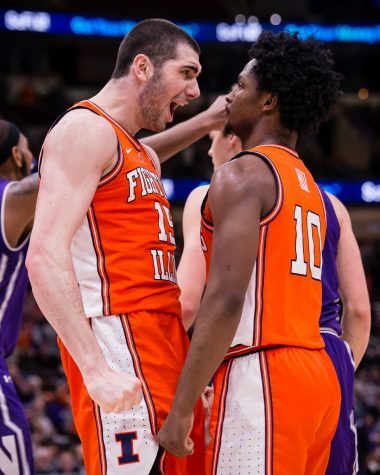 Ebo, Nichols, Black and Finke have their roles, and while I expect Matic Vesel to step it up next season, another big or two could go a long way for this group. This has been the story of the season so far. Good starts, big leads, big shots, epic comebacks, and even more, disappointing losses. After seeing this in 12 other games, you’d almost expect this type of ending, but time and time again, it hasn’t happened. This is not to be too negative or anything like that, because I — like many others — do believe this group has a phenomenal future ahead of them and it’s only up from here, but it does not make the loss against an unusually bad Wisconsin team any better. The pieces are almost all there, minus another big man and some alternate scorers, but for now, it’s only flashes. Frazier has many moments, Mark Smith has had some of his own, and more, but until it all becomes a consistent showing, these are the types of games we will remain subject to. Again, it’s there, but as many have preached for years, patience is key. 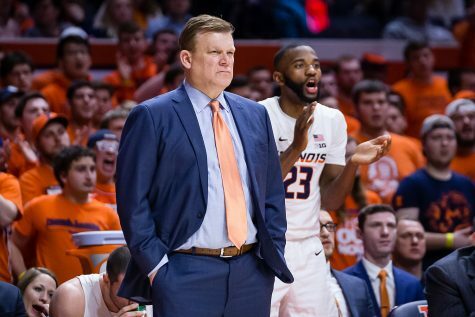 The team may not be all the way there yet, but they are closer than the win-loss column shows, and there is a very bright future ahead for Brad Underwood and these young Illini.